The first image I came across on the New Bern Public Library's Digital Collection, under the Header Craven County Digital History Exhibit. I have found so many interesting images of New Bern on this site. Check it out if you have any ties to the area. Bibliographical Information: Souvenir of New Bern, North Carolina (New Bern, N.C.: Owen G. Dunn, Co., 1910? 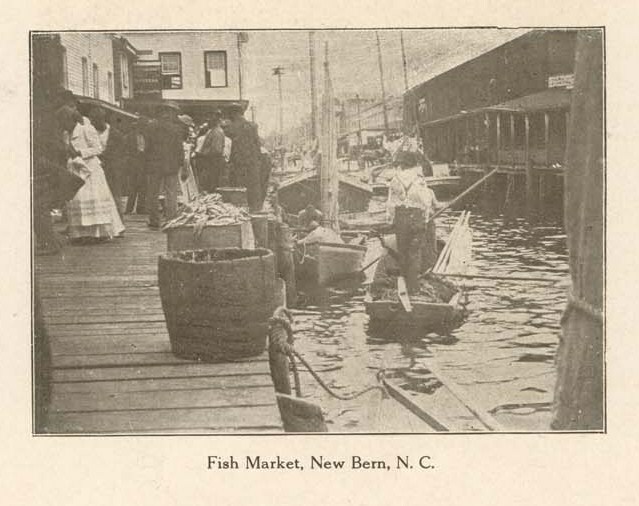 ), 68 p. A history of New Bern produced for the Bicentennial Celebration in 1910, this volume also includes illustrations of many of New Bern's attraction and businesses. 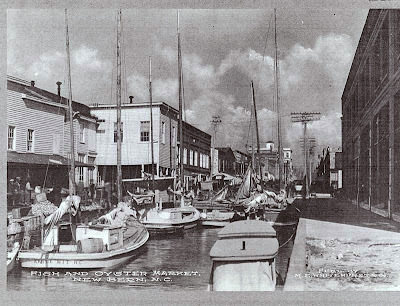 The other image that I love is a print I have that depicts the market around the turn of the century. It was originally published by M. E. Whitehurst and Co.